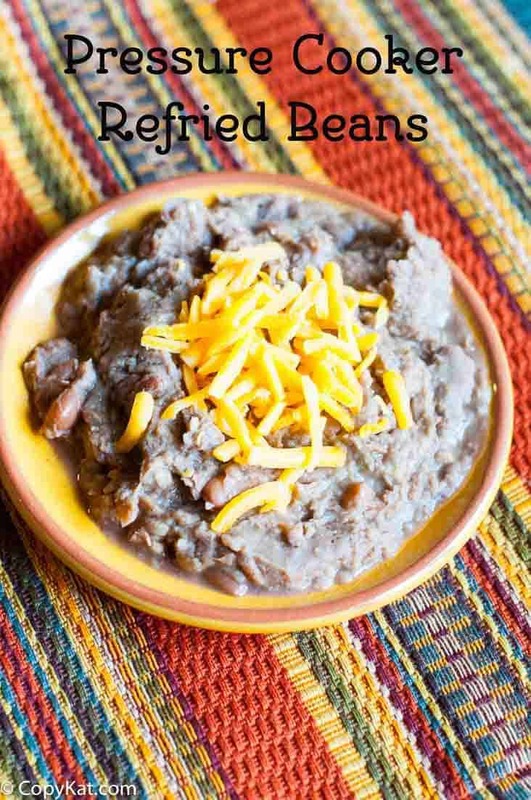 Do you love refried beans? 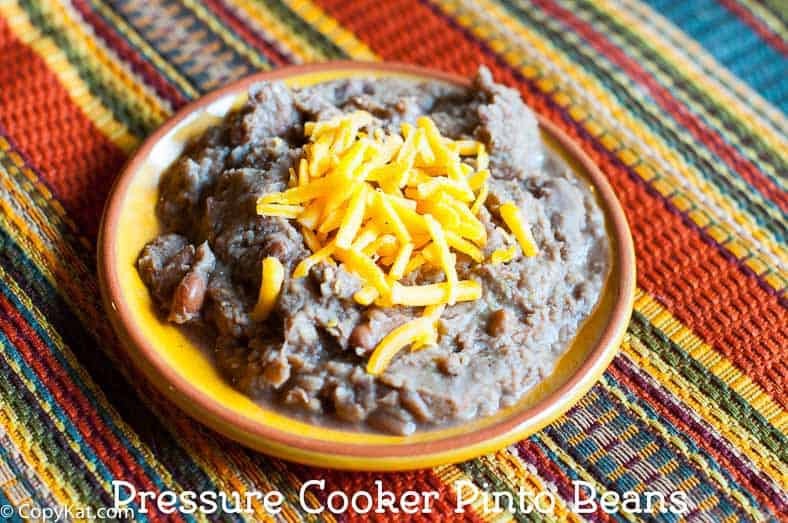 You can make pressure cooker pinto beans, and they will taste like the best-refried beans you have ever had. There is something about a hearty side dish of pinto beans. I like to mash mine up like pinto beans. You could leave them whole and enjoy a bowl of beans, this is entirely up to you. My recipe contains bacon grease if you want to make a vegetarian style of bean you would use vegetable oil. I like to use a little bit of bacon grease; I like the smokey flavor that it adds. I am also using a yellow onion, cilantro stems, chipotle powder, cumin, and dry pinto beans. When I slice the cilantro I save the leaves for another dish since the pinto beans are getting pressure cooked, I want something that will carry the flavor and not disintegrate during the cooking process. Since these beans are being pressure cooked, I am not going to soak them overnight, or even for a few hours. I find if I add about five more minutes to the cooking time they beans will come out tender. Dad Cooks Dinner advises you can soak the beans overnight in a brine, you may want to give this a try. To start this recipe, I am going to saute my onions, cilantro stems, and bacon grease in the pressure cooker. I will then add my spices, beans, and water. They will then pressure cook, and I will allow the pot to release naturally, so this adds 20 minutes to my cooking time. You will still have flavorful beans in no time. I do not salt the beans until after they have cooked. Some people think that the beans may become tough if you add salt prior to the cooking process. I personally just like to wait because the bacon grease can be a bit salty, and I want to see how much salt to add. My pressure cooker of choice in my Instant Pot. I think hands down this is the best pressure cooker around. It acts like a slow cooker, a yogurt maker, it can saute, it makes rice, it makes some of the best oatmeal around. To say I am passionate about this is an understatement. Make Pinto Beans in a Pressure Cooker, it only takes 1 hour. Saute onions and cilantro stems in 2 tablespoons of oil until the onions are translucent. Add cumin and chipotle powder. Stir in spices. Add sorted beans and water. Pressure cook for 40 minutes. Allow pressure cooker to release naturally, about 20 minutes. Taste beans and season with salt (I like about 1 1/2 teaspoons). If you desire refried style simply mash beans with either a potato masher or a stick blender until the beans are smooth. I would love the recipe for gumbo from Castaways restaurant in Port Aransas, Texas. Unfortunately, the hurricane MAY have ruined the building. I have eaten gumbo all my life and this is one of my favorites. I followed the instructions to the letter and mine turned out a bit soupy. i’d recommend cutting down the liquid a bit. Did u add leaves? What temp and how long? Wow how very good and easy, this is a keeper! What does “sort the beans” mean? Beans in the bag often have dirt clods in them. I like to pour all of my beans out on a cookie sheet and pick out the bits of dirt. If you watch the video, this is a step in the video. When did you add the leaves of the cilantro? You don’t add the leaves, this recipe is made with the stems only.